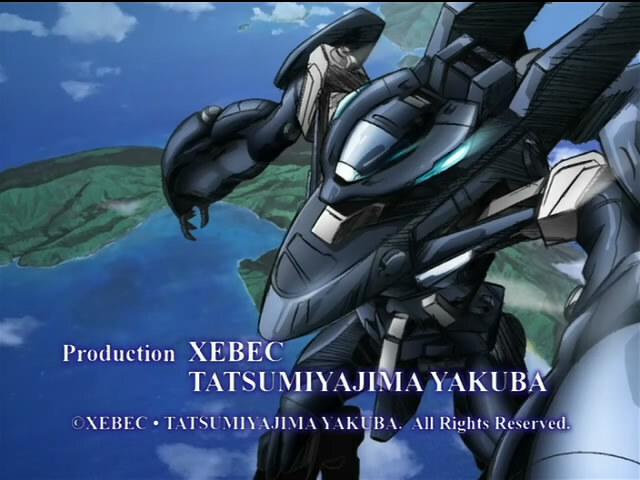 It is impossible to talk in too much depth about the plot of Fafner of the Azure at only three episodes in; it is a series that, like Rahxephon, holds its secrets close and plays on the characters’ and audience’s different levels of knowledge for dramatic effect. At this point the viewer knows next to nothing about the enemy, or even about the status quo. Using implication and secrecy for dramatic effect is something an awful lot of anime tries to do, and with highly variable amounts of aptitude; I abandoned my weekly write-ups of Macross Delta because it became apparent that it had reached a kind of stasis of plot; very little happened to progress the story, and the progress of the characters in discovering mysteries was not interesting. Currently it is too early in Fafner to comment on this aspect in relation to the whole series, but there is something its third episode does which I feel stands out as taking the technique in a fruitful direction. In the previous article in this series I focused on one of the two main features of what I called the “underdog-robot” subgenre of super-robot anime – the technological disparity between mankind and its enemies. The genre is based on the subversion of the traditional inherently superior hero archtype – while traditionally in the superhero or super-robot genre, the protagonist is at least able to fight on an even technological or power footing with the enemies (setting them ahead of the “ordinary” characters who cannot), a series like the previously-mentioned Evangelion takes a different approach. In it, the “best” that can be put forward is generally shown to be inadequate in some way, or unpredictably effective. While in a series like Fafner this balance of power is skewed too far against the heroes to make their continued success and survival seem likely, when done well it forms the core of a genre based around innovative action and a different kind of dramatic tension to the norm. 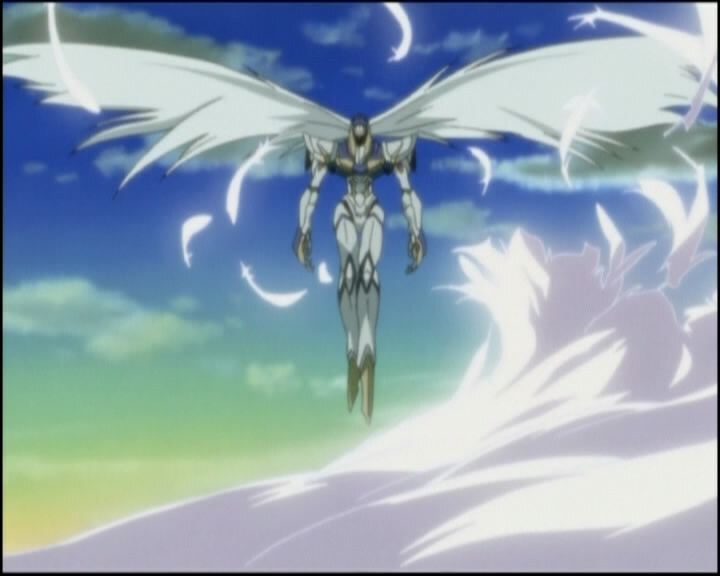 Note: This article contains significant plot information about Rahxephon, especially Episode 19. A stock-in-trade plot device in alien invasion stories is the inadequacy of modern technology in the face of a superior foe; notable examples include The War of the Worlds, where the invading Martians effectively outfight the humans only to die in time to common illnesses, and even stories like Independence Day where the patriotic ending is only possible after human guile undermines the aliens’ shields. This subgenre of science-fiction is picked up in anime, as well, but given a slightly more hopeful spin in the super-robot genre with a single effective weapon paving the way for resistance. The heroes are painted as the people capable of fighting back against superior enemy forces with cutting-edge weapons, ultimately a patriotic view of superior technology and willpower winning out in the end.